A computer’s hard drive is the most complex thing on your computer. Inside these devices that store data are both electromagnetic and mechanical moving parts. Plus, they can store an enormous amount of information, and if a malfunction occurs, lets hope that you have a proper backup in place. Most computers come with what’s called “S.M.A.R.T.” capability, which allows the computer to monitor for hard drive troubles. This does work to a reliable degree, but there may be other tell-tale signs. For example, if your computer suddenly takes a lot longer to run certain programs, then yes, it could mean trouble; if your computer needs to check the hard drives any time you start the computer, then it could be problems brewing as well. If you’re seeing or experiencing this, go on to Step 2 for further details. You generally do NOT want to take a chance if any of these tests return positive with error. Why? 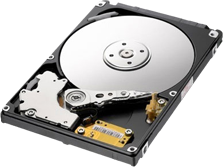 Because if a hard drive is showing an error, then nothing good could come out of continuing to use it; if it has defect(s), then more are bound to show up. Back up as much personal data as you can. You should already be routinely doing this, but now’s the time to get everything off the drive and jump ship. 4. Make a point to routinely replace your hard drives every few years. Only one thing is guaranteed with hard disks: failure. Thankfully, failures aren’t that frequent, and following these simple steps will help ensure that you continue using your drives without hassle or interruption.